The last time I talked to Joel Horne was a cold December evening in 2000. It was at Wheeling Island Stadium and the senior linebacker had the world at his feet after being named the most valuable player for the Indians in their 14-6 Class AA state championship game win against Wayne. Since then, Joel Horne – or Chuck as many of his friends call him today – has moved well away from football. He’s a husband, a father and a worker at Bridgeport’s Pratt & Whitney facility who lives just outside the city past Maple Lake along U.S. Route 50. Earlier this week, I found out more about Joel Horne than that. 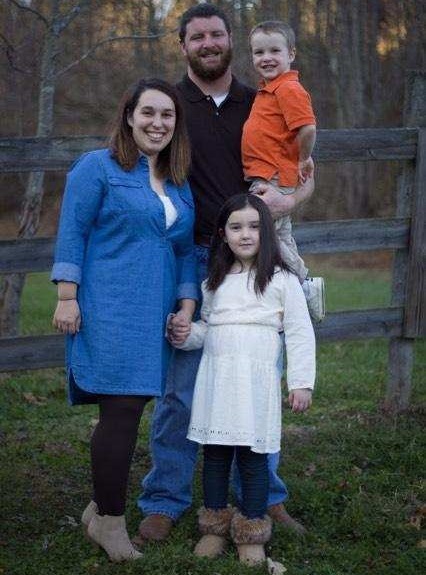 As pleased as I was to learn he was doing well on many fronts, my heart broke for him when a friend of his reached out to me to ask to help out Horne, his wife Ashlea (Stutler) Horne and their two children. Jeff Hess wanted to know if there was anything I could do to help Horne. And he laid out just why the family needs help – our help – and why I’m hoping after reading this you’ll be inclined to do just that. Horne is the father of two. Benjamin, 5, is doing well. 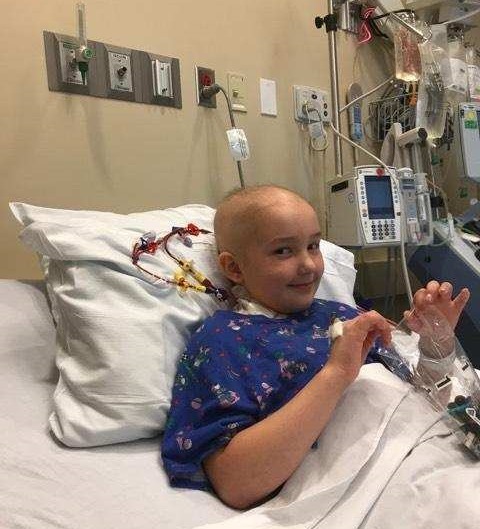 And based on the energy she displayed this past weekend, 7-year-old daughter Etta Grace Horne is doing well too. The energy, however, is always there. Unfortunately, something else is residing inside of this beautiful child. Hess let me know, and then later in talking with Horne himself, that Etta is battling a dreaded disease right now. 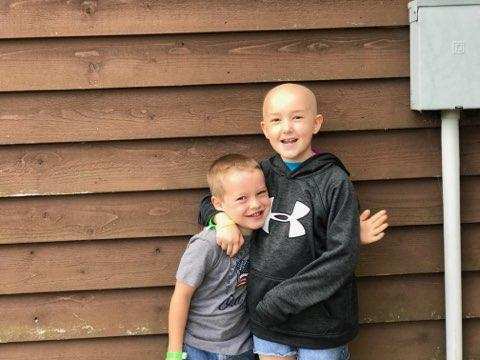 This precious child who is a student at Heritage Christian School is facing B-Cell Acute Lymphoblastic Leukemia (ALL), which is the most common type of cancer among children. According to the government’s cancer Web site (cancer.gov), this type of Leukemia is an aggressive (fast-growing) type of leukemia (blood cancer) in which too many B-cell lymphoblasts (immature white blood cells) are found in the bone marrow and blood. It is the most common type of acute lymphoblastic leukemia. That is what Etta Grace is facing. She’s been going toe to toe with the disease since December of 2017 when the family knew something was wrong. Ashlea Horne is a registered nurse. Her instincts told her that this wasn’t normal and in short order the family had Etta at United Hospital Center – the same place her mother worked. 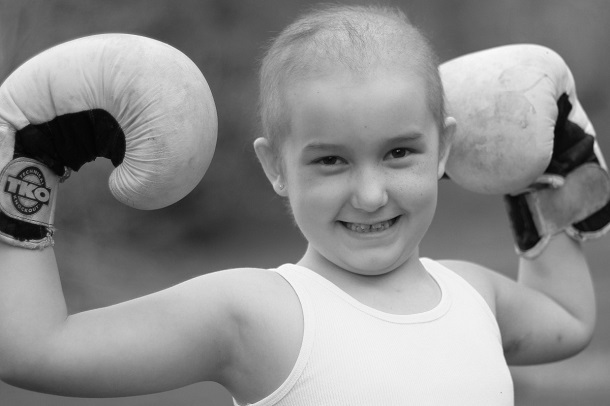 “They did bloodwork on her at UHC and that same day they sent us immediately to Ruby (Memorial in Morgantown). When we got to Ruby they did their own bloodwork and other tests … including a biopsy,” said Horne. That was on December 5. On December 8, the family officially got the diagnosis and it was hard for Horne, who once tackled everything in front of him, and his family to know that they couldn’t tackle this problem themselves. “When you hear something like that you just go numb. The worst part is that your child is hurting and you know that you’re helpless,” said Horne. From that point forward, the battle began. Multiple types of chemotherapy treatments have been done. Her little body has not responded in the way anticipated to this point. Because of that, treatments continue and the next round of major treatment will be done in Philadelphia. The treatment involves the harvesting of an individuals’ T-Cells from their blood and taken to a laboratory. Once there, they are changed in a manner so when they are returned to the individual the cells attack the cancer cells. 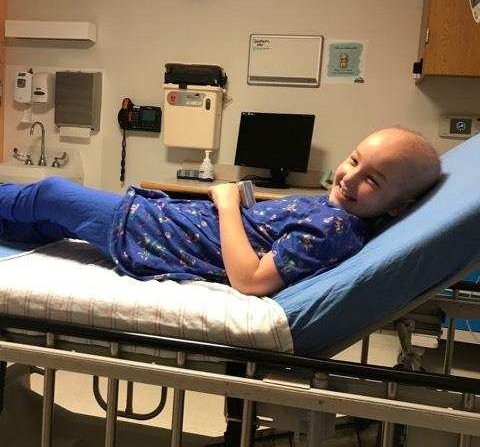 Etta has already had her cells harvested and they are being “reprogrammed” to join in the fight. As Horne explained what had happened and what was next, I asked him how Etta was doing. Considering her diagnosis and what she’s faced for the last several months, I was a bit surprised. God, Horne said, has played a big part in this journey as well. As many may know, Joel Horne grew up in a house where faith wasn’t just talked about, it was practiced. His father is the Rev. Thomas Horne and Joel “Chuck” Horne tries his best to walk the walk. Perhaps this is where people can do a little bit more. Although both hold done good jobs, Ashlea’s time as a registered nurse temporarily ended when Etta’s battle began. Joel himself has to be ready at a moment’s notice to be with his daughter or the family as the often uncertain battle with cancer carries on. “It’s unreal how much time this consumes and we have to be sure to take care of our boy as well. It’s challenging, but we’ll keep doing this because that’s what we’re supposed to do,” said Horne. Joel Horne didn’t say it, but Jeff Hess did. It’s consuming more than time. It’s consuming the finances of the family. Time away from working and what I’m certain is a mountain of medical bills and affiliated costs are hitting the family. Because of that, Jeff Hess worked with Joel’s brother Matt and his wife Allison to set up a gofundme page to help with expenses. You can visit the page to donate, to read about Etta and more by clicking HERE. For those who would rather donate by check, they can do that also. Checks can be mailed to LifeWay BIBLE Fellowship, 273 AFG RD, Bridgeport, WV 26330. Please put Etta in the memo line. It’s time for Bridgeport and those throughout Harrison County and the region to do what they always do when someone – particularly a child – is in need. They step up. Etta Horne is in need. It’s time to step up. Editor's Note: Top photo shows Etta Horne in her "Etta Power" pose, while she's shown with her father Joel (Chuck) Horne, mother Ashlea and brother Benjamin in the second photo. In the third and bottom photo, Etta is shown getting treatment. In the fourth picture, she gives her brother a hug. All photos courtesy of the Horne family.